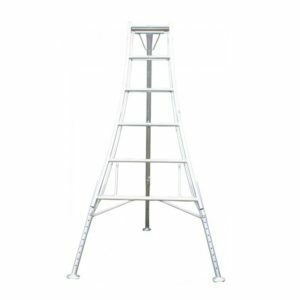 Hendon’s Platform Tripod Ladder offers additional security and peace of mind to anyone slightly more cautious about working with their feet off the ground. 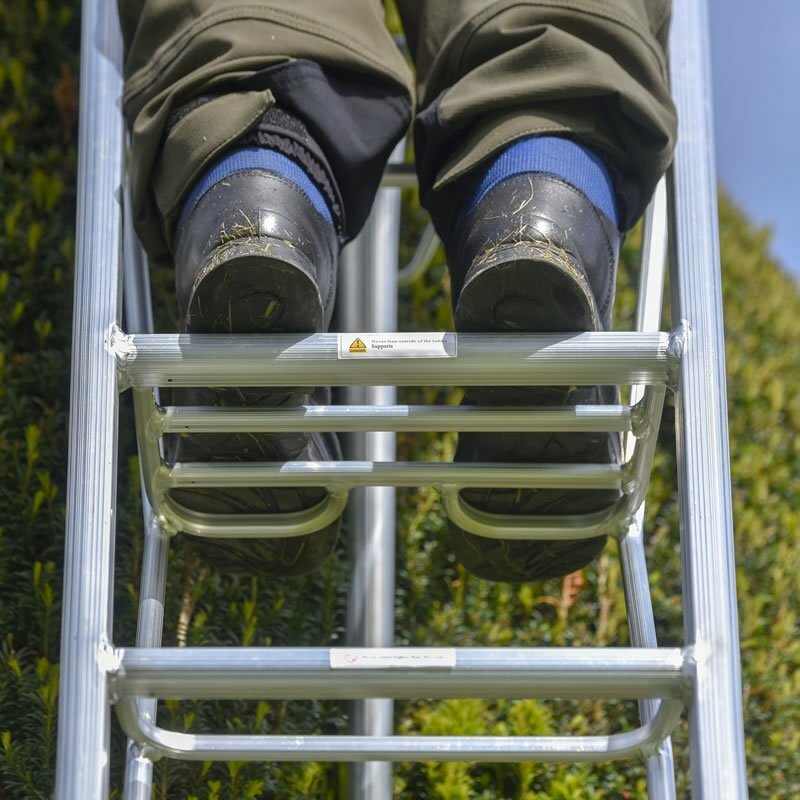 A much deeper 175mm top working step, as well as a hand rail to lean into or hold onto, makes it perfect for more cautious gardeners, especially if the work is at a fixed height. 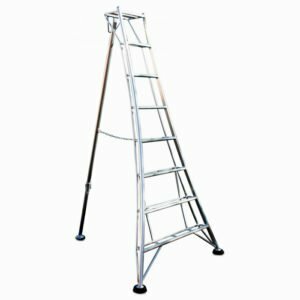 Even on uneven ground or on lawns, there is fantastic stability provided by the three-leg design and wide base, preventing wobbling and assuring you of safe operation. 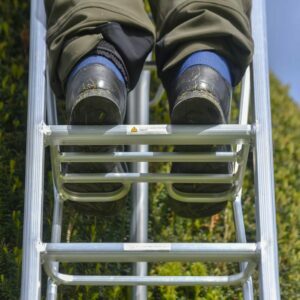 Clawed feet at the bottom of each leg give extra grip, while the ladder is also very comfortable to stand and work on thanks to its broad double rung steps. 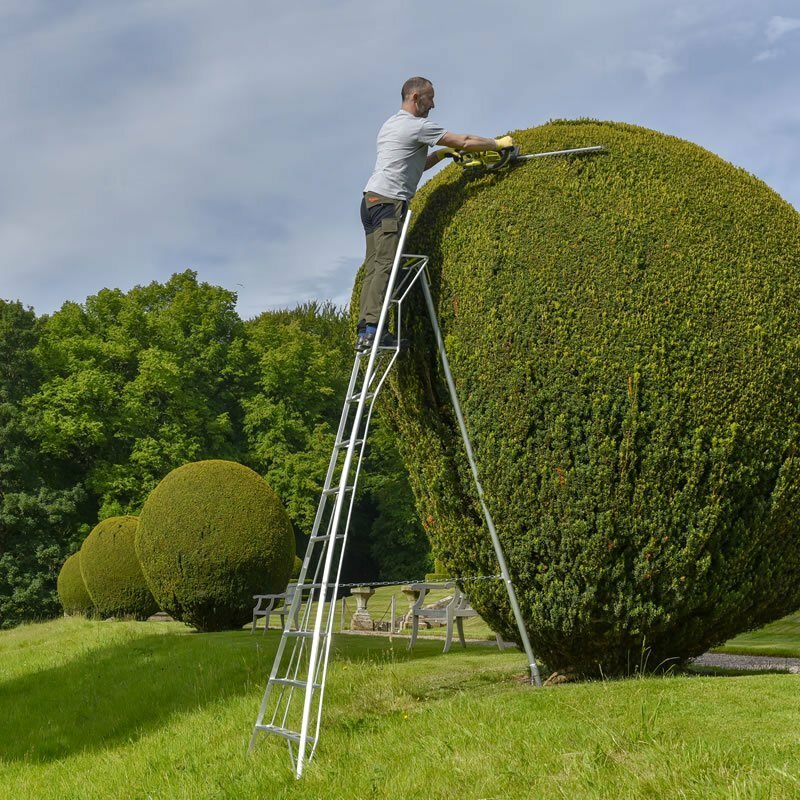 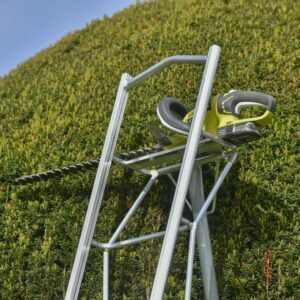 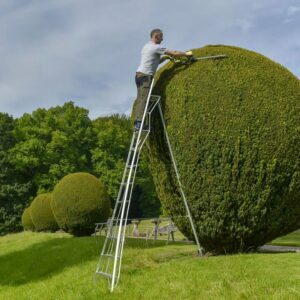 The ladder can easily straddle over shrubs, low fences and walls thanks to its telescopic third leg, so depending on the task you can work face-on with the third leg planted into a hedge, or sideways with the side of the base parallel to the task, giving the perfect working position. 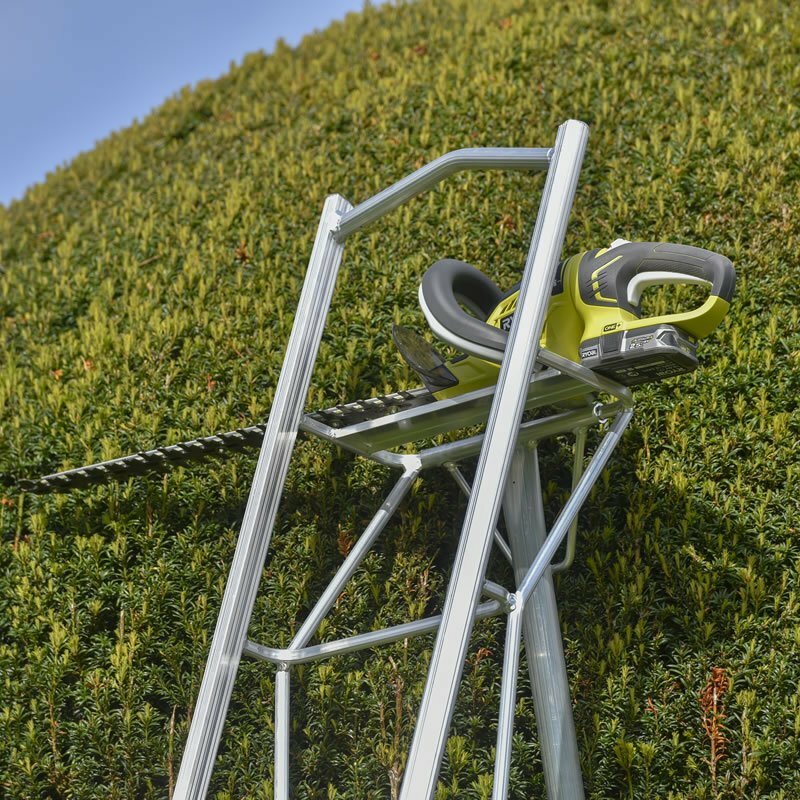 A flat top allows you to rest baskets or tools. 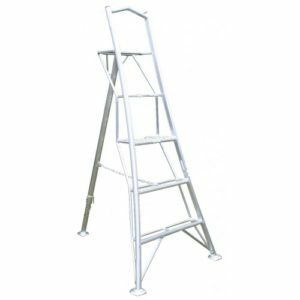 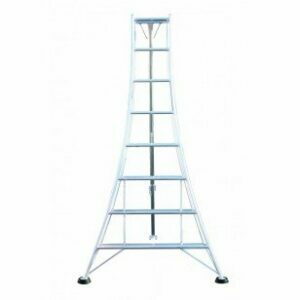 The ladder is made from welded aluminium alloy extrusions, meaning it is lightweight but still strong, able to handle a Safe Working Load of 100kg (220lb).